GIRLFLY and Quesada Gardens have been collaborating since 2013. 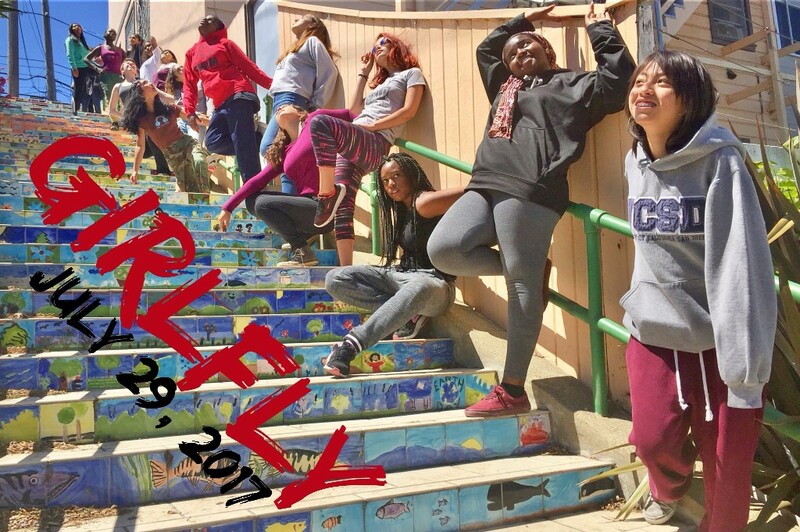 GIRLFLY brings neighborhood and neighboring teen girls to the gardens to make site specific dances, to learn from the community building that has gone on here, and to deepen the neighbor-to-neighbor activism that has blossomed here, alongside the gardens. This year we are making dances that explore both diversity and support in and around Bridgeview garden; on the long tile steps at the end of Quesada; and in Quesada Gardens’ median. We are also enacting a writing as activism project led by SF State ethnic studies professor and QG neighbor, Wei Ming Dariotis. We have 16 girls ready to dance and make a difference. Come see their performances! Featuring dances by Jo Kreiter, Megan Lowe, and the 2017 young artists of GIRLFLY.